Those themes of uncanniness which are most prominent, ... are all concerned with the phenomenon of the 'double', which appears in every shape and in every degree of development ...the 'double' has become a thing of terror." Related reading: Here They Lie is another PlayStation VR horror title. Matt's full review of that one. I have a Hatsune Miku doll. I bought her when I was in Japan this year (a bargain at around $1000), and I simply adore her. 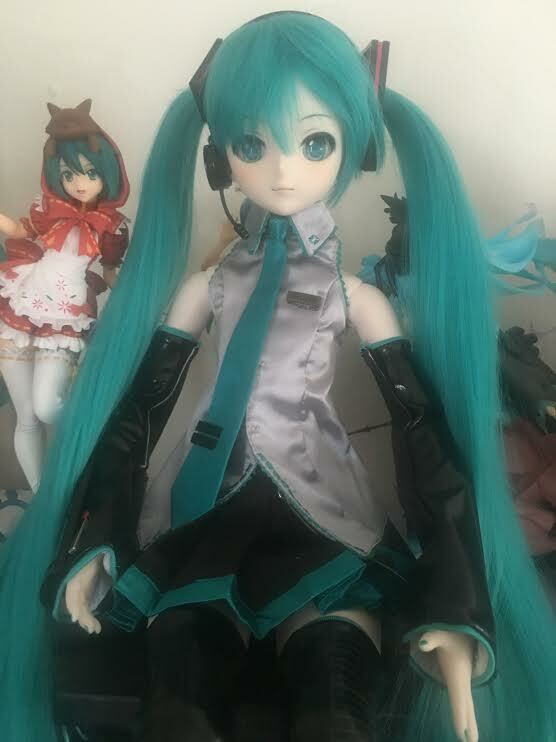 As a fan of all things Miku, short of setting up an actual stage at home so that I can get her to perform for me this dolly is basically the epitome of my collection. These dolls are popular, too; at the concerts I always spot a couple of people who have brought their dolls to watch with them. I’d never do that personally, because I’d be too worried about my Miku getting dirty, but power to them. But where I see something adorable and beautiful in my doll, it makes other people feel uncomfortable. I put pictures of my Miku on social media and people tell me she creeps them out. My wife doesn’t like how “blank” and “lifeless” her face is. This is Freud’s Uncanny; once an object becomes too humanlike in appearance (but remains observably inhuman), it is likely to conjure up disgust in the viewer. The essay Freud wrote on the topic is long and detailed, and I’ll leave that to you to read if you’re interested in knowing more (you can read it here). What you should know, however, is that unlike some of Freud’s other work, continued research into this field is playing out to be true. A Japanese engineer found that it applies to people with robots, too. You’ve probably heard of the Uncanny Valley - that was named after Freud’s theory. What does all this have to do with Weeping Doll? That title promised so much. Dolls are a perfect motif for horror because of Freud’s Uncanny. With the right setting and narrative, a doll’s haunting eyes and expressionless face can take us down some particularly uncomfortable paths. The revulsion that many feel towards a doll could enhance the impact of the horror, intensifying it by contextualising the fear into something that makes many of us uncomfortable in the real world. I was genuinely concerned that Weeping Doll would turn me off my Miku dolly. If the game made dolls creepy or frightening enough then it might taint how I looked at her in the future. I might even resort to locking her away out of sight (rather than have her displayed prominently in the living room, as she is now). Thankfully (for me) and unfortunately (for the developer), Weeping Doll doesn’t do nearly enough with what its title promises; i.e. there’s a real lack of that animated doll motif. 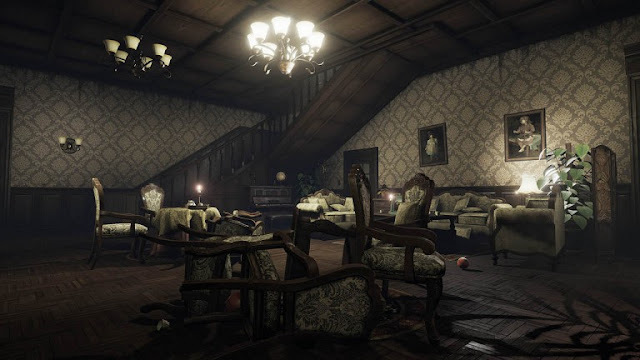 The game itself is more akin to something like Layers of Fear; it’s effectively a ‘walking simulator’, or horror-themed point-and-click adventure game, if you’d rather, in which you’re piecing together a horrific series of events without being an active participant in them. 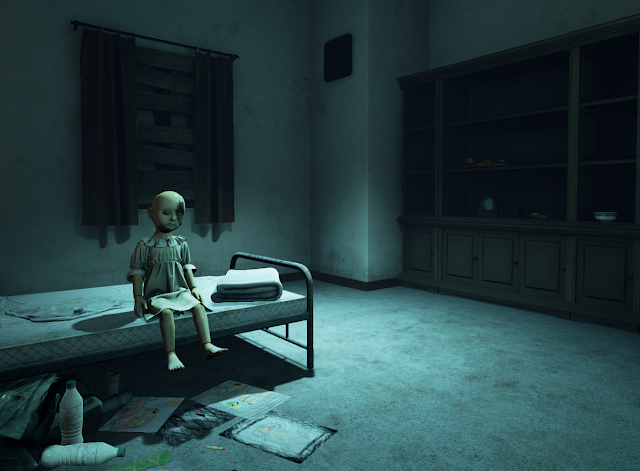 It’s a sharpish game, and most people will be able to finish it within the hour, but the length itself isn’t actually much of an issue; as the equivalent of a short story, Creeping Doll tells the story it wants to tell comprehensively enough, so it doesn’t feel like it needs to be any longer. The basic themes behind the narrative are strong horror material too; in addition to the recurring motif of dolls, the core narrative retells a story of child abuse which is, in theory, quite shocking indeed. 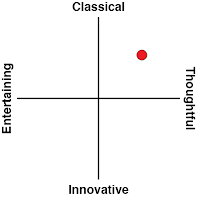 I say “in theory” because the actual telling of the story is one of Weeping Doll’s most glaring problems; the performances are just not very good. The protagonist is a maid for a wealthy family. She visits one day to find that the whole family has disappeared, and something seems very wrong about the circumstances behind that. Her voice actor is a British woman who seems to be trying too hard to sound like a “maid”, and the performance comes off as laboured and uninspired as a result. The other big problem with Weeping Doll is that the developers didn’t seem to be much interested in giving players a truly horrific experience. Rather than focusing on imagery, aesthetics, and atmosphere, you’ll spend most of the game being supernaturally “locked” in rooms and forced to solve puzzles in order to unlock the doors. These puzzles don’t have much to do with the broader narrative, so there’s a constant break in the storytelling as you’ll poke around a room, looking for a solution to a very arbitrary puzzle. It is fine for horror games to have puzzles, of course, but they shouldn’t break the immersion within them as a consequence. My Miku dolly. Isn't she so beautiful? I love her very much. There’s an artificiality about the game in general, actually, which doesn’t help with the immersion into it. There’s solid art direction at work, but you’re only able to interact with a limited few objects, reducing the rest of the environment to that of a static painting. Another VR horror game I recently reviewed, Here They Lie, also had limited points of interaction, but it was so heavily stylised that the painting aesthetic worked for it. Weeping Doll aims for a more naturalistic visual design, and it feels really quite odd when objects that you should be able to pick up and/or move around remain glued to the spot. 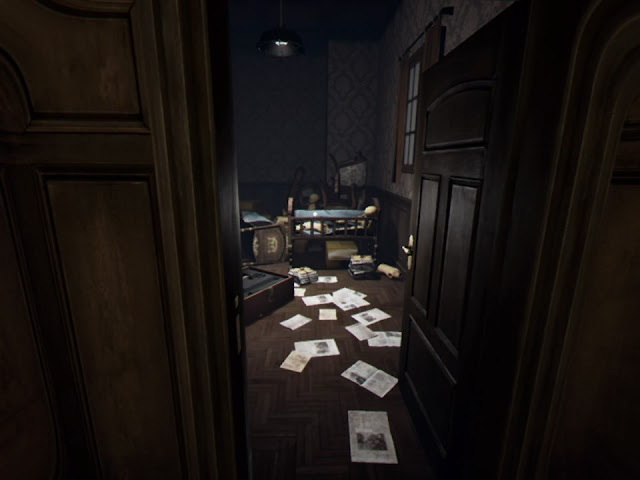 Related reading: Layers of Fear might not be VR, but it is an incredible game, in a similar style to Weeping Doll. Lindsay's full review. I could also talk at length about how arbitrary many of the other elements of the game are; the environment design, for example, has you moving around a European mansion-like environment, only to open the door and step into a traditional Japanese room. That would be immersion-breaking in any other game, but Weeping Doll never gives you a chance to be immersed in the first place. The greatest sin of Weeping Doll, however, is how minimal the role of the dolls are. For the most part, they’re creepily present in some of the rooms (though, again, non-interactive), or part of a puzzle. The effort to integrate them into the main narrative simply isn’t there. The experience of the uncanny that we were promised in the game’s very title remains just that: a promise. 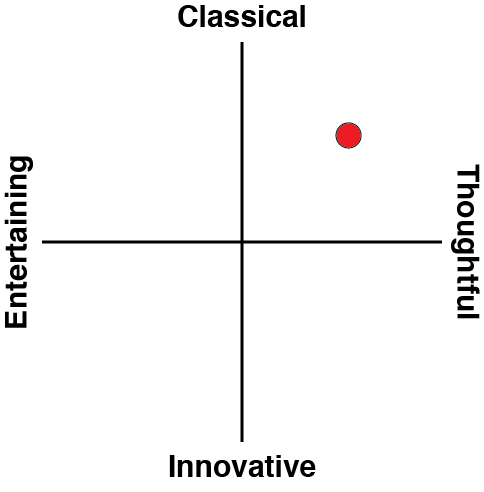 And that’s good for me on one level; I certainly didn’t come away from this game with any lost affection for dolls, and my Miku continues to own the living room. More seriously, though, Weeping Doll had a lot of potential, and it’s genuinely disappointing that it wasn’t able to follow through with it. This one you can’t chalk up as developer teething pains with VR; this game would be every bit as flawed, regardless of the platform it was on.